Many people experience occasional tiredness during the day, perhaps after a fitful night of sleep or after a heavy meal. While it may be annoying, the weariness usually is one-off deal, forgotten after the next night of sleep. But in a minority of cases, daytime tiredness turns frequent and severe, causing the person to fall asleep even while conversing, driving or attending class. Such are the symptoms of narcolepsy, a chronic brain disorder that so impairs normal wake-sleep cycles that sufferers immediately surrender to sleep impulses no matter where they are or what they are doing. 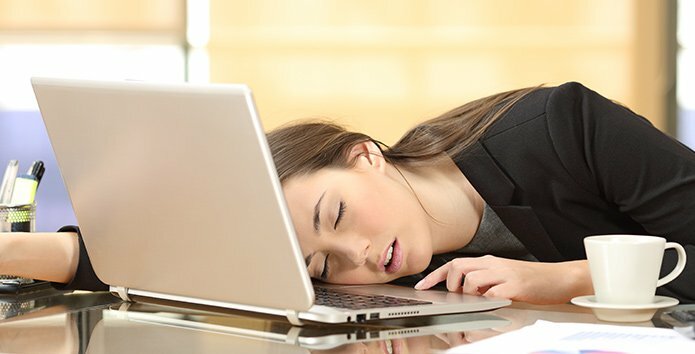 For an estimated 40 percent of people with narcolepsy, sudden sleep attacks are often of so short duration they are dubbed “microsleeps” lasting mere seconds, and the individuals appear to continue their activity or task via some sort of auto-pilot, without later recalling their actions. However, their performance usually is impaired – a writer’s scrawl may turn illegible, for example, or an auto driver may have an accident. Gaining weight is common after development of narcolepsy. So is the emergence of cataplexy, episodes in which an active individual suddenly loses muscle tone and voluntary muscle control. The attack may be so mild and fleeting as to be imperceptible, or so severe that the person is unable to speak, move or keep their eyes open. (But even during these extreme attacks, the sufferer is fully conscious.) About 70 percent of the narcolepsy patients also experience cataplexy. Among the possible causes of narcolepsy is a low level of a neurotransmitter called hypocretin, a body chemical that regulates wakefulness. While individuals can develop narcolepsy without a family history of the disorder, about 10 percent of individuals with narcolepsy and cataplexy say they have a close relative with the same symptoms.